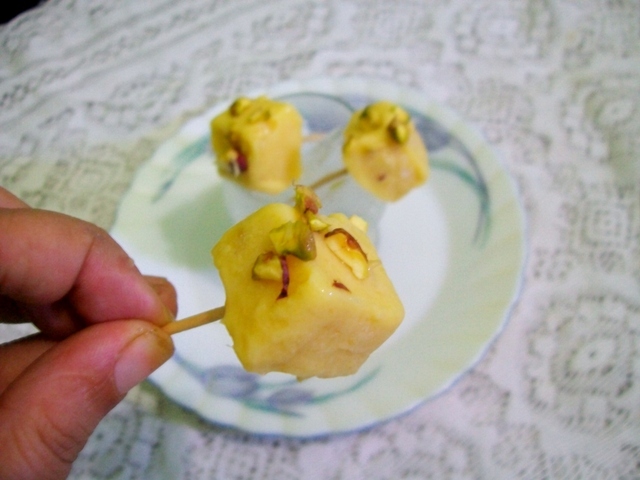 Kulfi is biteable sized Indian dessert which is absolutely adorable. It is known as Indian icecream but the texture and taste is completely different icecream. 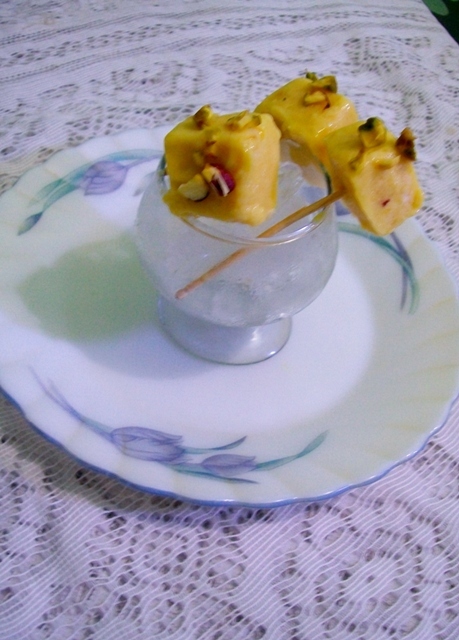 Here I have used icecube trays as kulfi moulds and so these can be rightly said mini version of kulfis.You can very well use normal kulfi moulds for the same recipe. 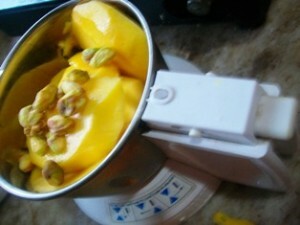 Blend mangoes and pistachios to a fine paste. 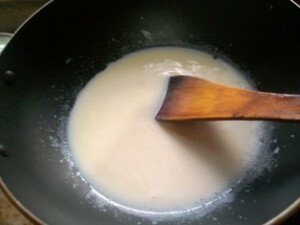 In a pan Boil milk and add rice powder till it thickens.Remove from heat and let it cool down. 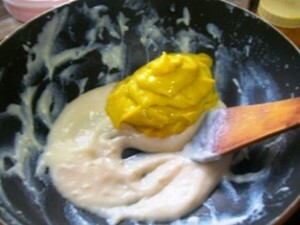 Add the mango-pistachio paste to the cooled down mix. 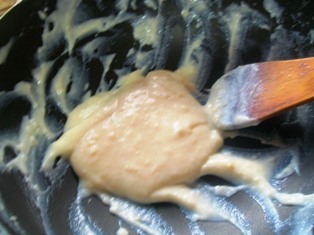 Stir well till a homogenous mix is obtained. 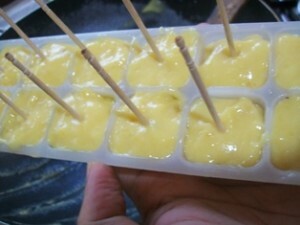 Pour into ice trays and insert toothpick over it.Let it freeze for few hours .Demould carefully from the trays. The yummy mini mango pistachio kulfi is ready to be served. Awesome recipe. Thanks Dear and God Bless U!! !